At times of loss and bereavement, it’s well established those who are left reach for music and poetry– and the music of poetry. 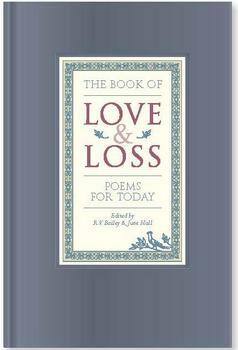 Unlike other collections The Book of Love and Loss draws only on contemporary voices and is intended in future to form not just a fine collection but also to be the best-selling source book for funerals, memorials and other special occasions. 50p from each copy sold plus all profits will to the Parkinson’s Disease Society for research.